The Hunger Games. . Wallpaper and background images in the Die Tribute von Panem club tagged: the hunger games. omgiee this is soooo cool!! Amazing drawing, the person that did it must be really talented! 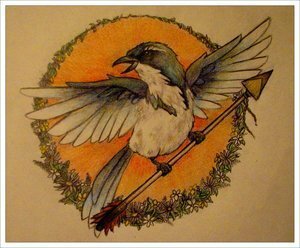 This is a mockingjay, right? ?